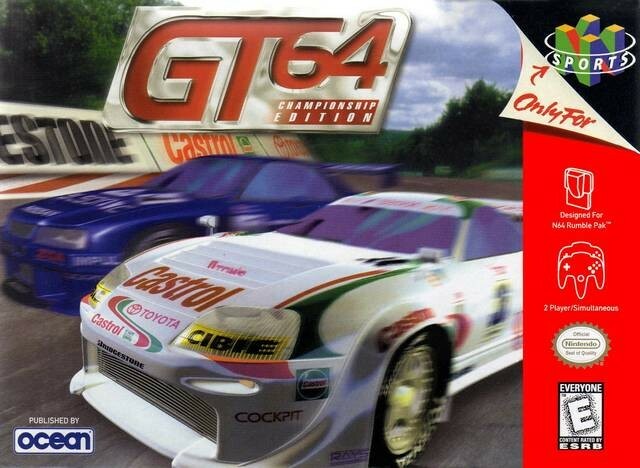 GT 64 Championship Edition for Nintendo 64 is a sports car driving game with realistic physics and racing environments. The game features six tracks in three settings. For 1-2 Players.